SBI Result 2019: Below are the latest results published by SBI - State Bank of India / www.sbi.co.in. The recent result announced by the organization is SCO Interview Schedule 2019. SBI SCO Interview Schedule 2019: State Bank of India has announced the News on 07 Mar 2019 for the exam . 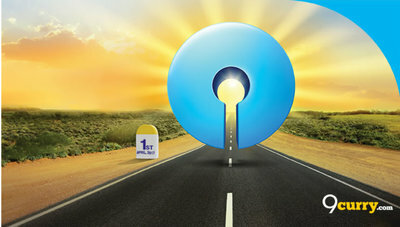 SBI Clerk Mains Marks 2018: State Bank of India has announced the Result on 21 Feb 2019 for Clerk Mains Exam 2019 . SBI SCO Result 2019: State Bank of India has announced the Result on 06 Feb 2019 for the exam . SBI Junior Associates 2018 Wait List 2019: State Bank of India has announced the Result on 19 Jan 2019 for Junior Associates 2018 Wait List 2019 which was conducted on 05 Aug 2018. SBI Specialist Cadre Officers 2018 Final Result 2019: State Bank of India has announced the Result on 18 Jan 2019 for the exam . SBI Dy Manager (Security) Result 2018: State Bank of India has announced the Result on 19 Nov 2018 for SBI Dy Manager (Security) Exam- 2018 . SBI PO Final Result Marks 2018: State Bank of India has announced the Result on 04 Nov 2018 for the exam . SBI PO Prelims Final Result 2018: State Bank of India has announced the Result on 30 Oct 2018 for SBI PO Phase-III (Group Exercise & Interview) held during September/ October 2018 . SBI Junior Associates Main Exam Result with Marks 2018: State Bank of India has announced the Result on 09 Oct 2018 for the exam which was conducted on 05 Aug 2018. SBI Clerk Mains Marks 2018: State Bank of India has announced the Result on 22 Sep 2018 for the exam . SBI Clerk Mains Result 2018: State Bank of India has announced the Result on 19 Sep 2018 for the exam which was conducted on 05 Aug 2018. SBI Probationary Officers PO Mains Result 2018: State Bank of India has announced the Result on 28 Aug 2018 for Probationary Officers PO Mains Examination 2018 which was conducted on 04 Aug 2018. SBI Clerk Pre Exam Result 2018: State Bank of India has announced the Result on 24 Jul 2018 for Clerk Pre Exam 2018 . SBI PO Pre Exam Result with Marks 2018: State Bank of India has announced the Result on 17 Jul 2018 for PO Pre Exam 2018 . SBI PO Pre Result 2018: State Bank of India has announced the Result on 16 Jul 2018 for Probationary Officer PO Pre Exam 2018 and Phase - II (Mains Examination) will be held on 04 Aug 2018. SBI Deputy Manager (Law) Result 2018: State Bank of India has announced the Result on 12 Jul 2018 for the exam . SBI Special Management Executive Result 2018: State Bank of India has announced the Result on 07 Jul 2018 for the exam . SBI Specialist Cadre Officers Final Result 2018: State Bank of India has announced the Result on 31 May 2018 for Specialist Cadre Officers Exam 2017 . SBI Dy. Manager (Law) - Final Result: SBI has announced the Result on 30 Dec 2017 for the exam .